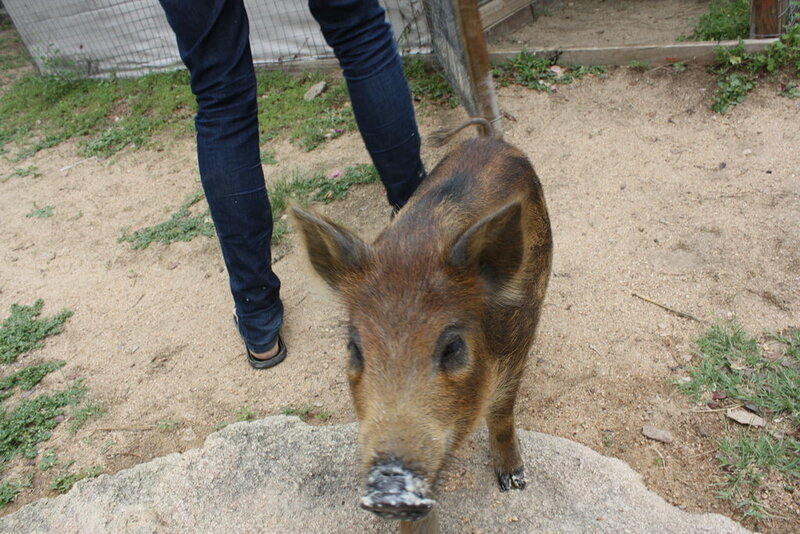 We are currently taking care of a pig called Herbie, he is a cross between a bushpig and a domestic pig. 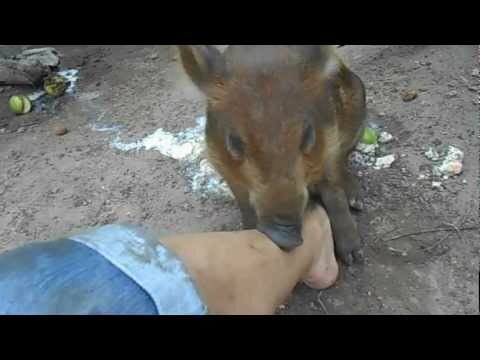 He was orphaned and brought to us by a nearby reserve who did not know what to do with him. Unfortunately he is getting bigger now and his enclosure is just not big enough anymore. 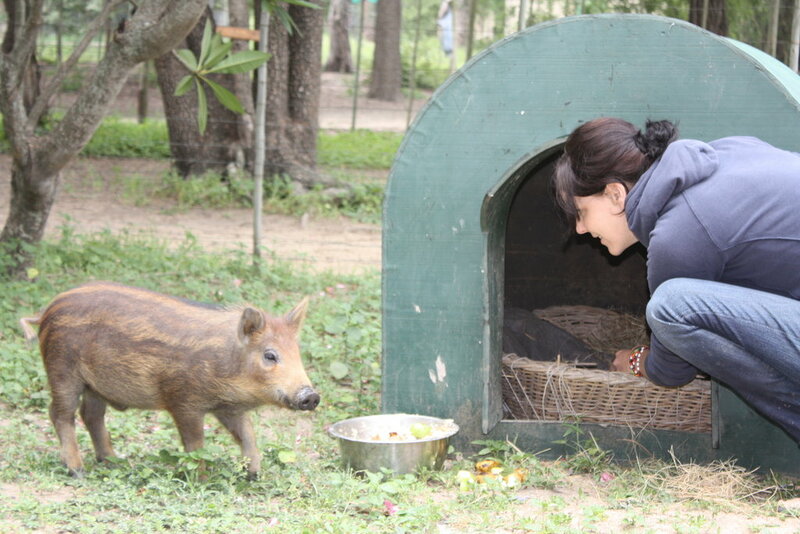 Because of a lack of education local people tried to breed bigger pigs by crossing bushpigs and domestic pigs. Giving Herbie a proper new home will also make it possible to keep teaching the children about the effects this kind of behaviour has towards the animals. Having a pig in an enclosure in the middle of the bush would obviously attract the leopard so we also need a strong roof on top of the enclosure, which makes the price go up. When Herbie has a new home he will be able to roam around and take mudbaths as much as he wants. He'll be safe from leopards and have the space he needs. This also teaches children about mixing wild and domestic animals. The children, future custodians of nature, will be inspired to protect wildlife and their fragile environment. And Herbie will have a long and happy life.